Could you Serve the church? away and other reasons, frequency has increased even more. We have though welcomed Phyllida Smith back onto the server’s list as you will have noticed of a Sunday. Phyllida was a server some time ago and it is great to have her come forward once again. The two duties are not onerous at all and provide another way in which a person can give service to Our Lord in our church and beyond. The duties may look complicated with folk moving round all over the place, but they are not – and there is no exam! 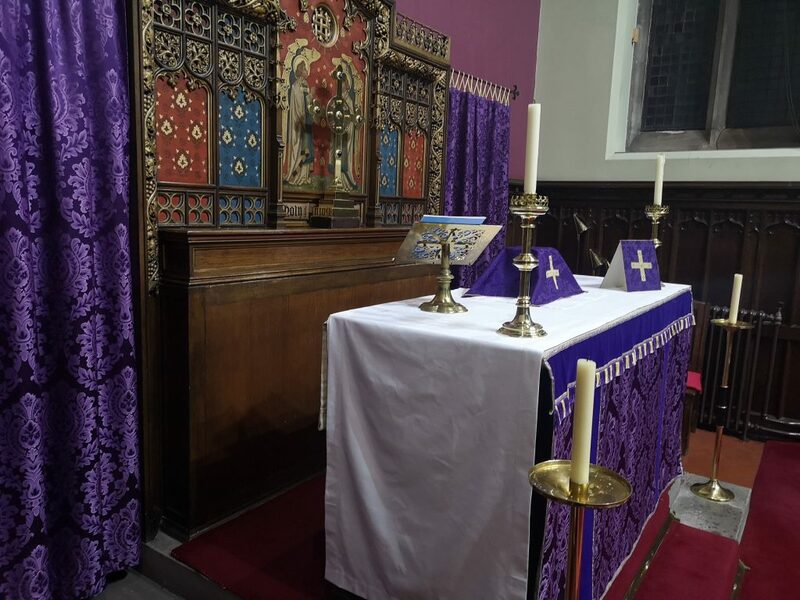 Could you help at our Altar? Anyone who might like to consider either of these duties or wishes to learn a little more, please speak to/ring/mail me or speak with anyone already on the lists. Servers may be of any age and families are particularly encouraged to discuss this way of contributing to church life with their Young People. There is no requirement to be confirmed to become a Server and training and buddy help is the way of introduction to life behind the rails. Our current young Servers are great ambassadors. The Administrator role carries the additional need of approval by the Bishop to accord with the church requirements and this is organised by our Rector. There are steps to be negotiated with this duty. If you think this is something you would like to do, then please speak directly with the Rector.